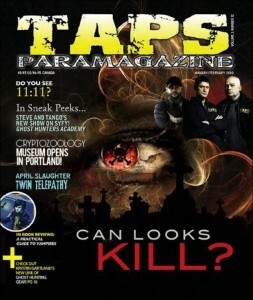 TAPS Paramagazine published my Eleven-Eleven article in 2010 (I was so pleasantly surprised). 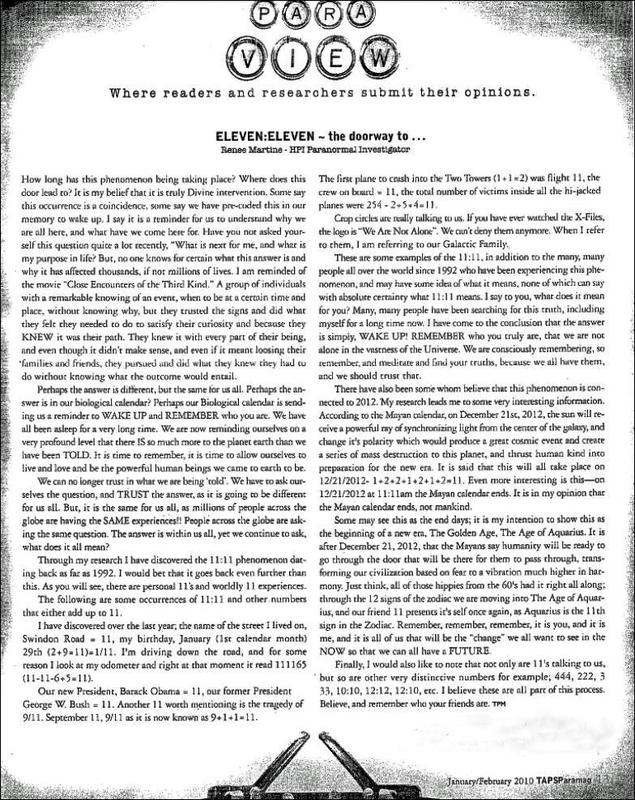 I wrote this article when I myself began seeing 11:11 EVERYWHERE. When I began researching this phenomenon. I realized I was not alone, and that so many other people were experiencing it too. Today, I know now that the repeating numbers that I see daily are a sign post, a sort of message that tells me that I am in the flow of my true purpose. While I am sure many others have their own experiences with these types of numbers, always confide in yourself as to the true meaning behind the numbers, as they are different for us all. NOTE: the article below is a little fuzzy, as this was a scanned copy of it—apologies. 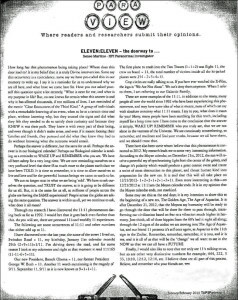 If you would like to read it with a little more clarity, please click on this link ——> Eleven-Eleven, the doorway to . . .